Following on from the footsteps of the latest viral craze that is Pokemon Go, it seems that Star Wars will be adopting a similar concept, as they have created a new interactive video game. Smartphone users will be given the chance to embark on an adventure with Ezra Bridger (protagonist of the popular TV series, Star Wars: Rebels), who will guide them on a covert operation. The game will go far beyond the barriers of a mobile device and become augmented into reality. To complete the mission, you will have to head to the Star Tours attraction at a Disney Park where you will be 'transmitted into hyperspace'. Players will go incognito as an Imperial Security Officer (this attire will be given to players complete with rank bar, cap, satchel and diversion tattoos). You don't want to be recognized as an undercover rebel agent. Through your smartphone app, Ezra will lead you on a quest to foil the Empire. You can use your phone to scan targets or "wayfinders" which are located in the Star Tours resort room. Consequently, your tech will allow users to relive the experience over and over again. 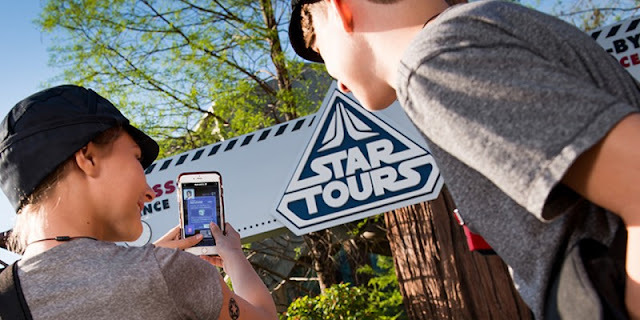 Players will be provided with equipment, including a disguise, as well as a data card to transmit intel from to other rebels at Star Tours. Alongside this, other collectibles include a Jedi holocron, lightsaber, Rebel journal, four Empire recruitment posters and an Empire door banner. Once you have successfully completed your mission, you will be provided with a 'Medal of Bravery'. 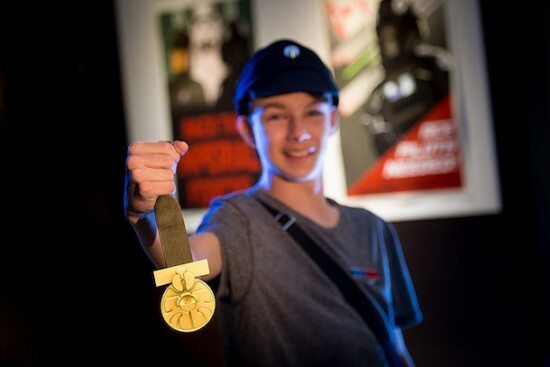 This design of the medal will be comparable to the design seen in Star Wars: A New Hope and can only be awarded to players at the end of the mission. The lanyard can also be personalized as a way to identify your triumph. Players are able to enlist from August 15th. What do you make of this interactive adventure? Are you excited by it? Or do you think its a bit too costly for your taste? Let us know in the comments below.